China has confirmed that Kim Jong Un travelled to China this week in his first overseas trip since becoming North Korea’s leader in 2011. Experts say Kim probably met with China to talk about how to deal with Trump and his negotiating style during future talks. China knows well how to appease the US president during negotiations, giving Trump a lavish reception during a visit in November. Kim Jong Un’s visit to China this week may have been motivated by US President Donald Trump. The visit – Kim’s first trip outside North Korea since becoming leader in 2011 – came just weeks after Trump agreed to face-to-face talks, for which President Xi Jinping may be able to help Kim prepare. 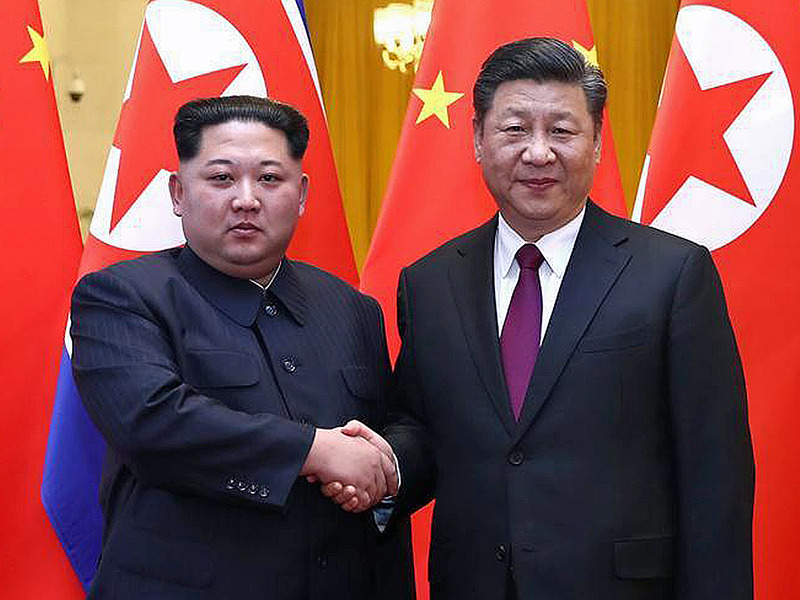 Lowell Dittmer, a political scientist at University of California Berkeley, told Business Insider that from North Korea’s prospective, China can give Kim crucial insight into the US administration. “Kim Jong Un wants two things: to request a reduction of China’s sanctions enforcement, and advice about how to handle Trump, especially if he gets tough,” Dittner said. And China knows well how to impress the Trump. The US president showered China and Xi with praise after the country quite literally rolled out the red carpet for Trump during a carefully-orchestrated and extravagant “state visit-plus” in November. Xinhua News via TwitterKim Jong Un and Xi Jinping. Trump has been known to respond well to flattery and personal attention, which North Korea may use in its bilateral negotiations. China is also potentially being previewed as a potential venue for the historic talks between the leaders, who have not been quiet about their distaste for one another. Although President Trump has scaled back on his insults against Kim in preparation for the historic talks, Trump has previously referred to Kim as a “little rocket man” and has considered preemptive strikes against the country. Besides tough talk, Kim is likely concerned about Trump’s style as a negotiator, which has been criticised as “amateur” in the past. Trump has also had some awkward and tense encounters with global leaders in the past, which may explain why Kim could have turned to China for advice on how to handle the US leader.